Some things are on everybody’s mind. Let’s deal with them here. If you don’t find the answer to your particular question, just click on the contact button. My office will do its best to respond quickly. 1. Is counseling or tutoring available? We have established solid partnerships with organizations who specialize in improving all aspects of our students pedagogical, emotional and psychological state. Some of who, are right in house! Come talk to us today should you require any of these services. We are here to help! 2. I would like to visit, is that possible? Anything is possible at THÉO! We have rooms reserved exclusively for resident family members, friends and guests. These rooms can be booked with a nightly fee, of one night up to one week. If you would rather stay off THÉO grounds, we will gladly refer you to nearby hotels. 3. I see that you require a guarantor to lease in your building. What does this mean? Once you are committed to THÉO, we require all residents to name a guarantor on their application (must be over 18 years of age). It is important that this person is aware that should this resident fail to pay their monthly rent, we are entitled to ask their guarantor for the outstanding balanced owed to THÉO. 4. Can my child choose their roommate? We have an efficient matching system in place at THÉO which allows all residents to pick the perfect roommate to enjoy a pleasant stay at our residence. Ask us about it today! 5. Does my child needs to bring anything from home? 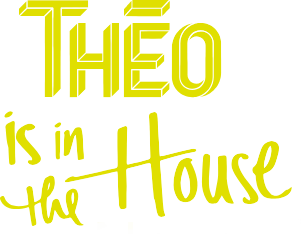 THÉO is an all-inclusive home away from home. However, we do ask all residents to bring their own personal clothing, hygiene items, shower curtains and bedsheets. 6. Is your building secure? A security guard and camera will be on watch 24/7 to insure tight control on in and out traffic throughout THÉO. Our front desk is always a call away to provide help if needed. 7. My child requires special accommodation and/or has a medical condition. Who do I speak to? Should your child require accommodation, we ask that you contact our THÉO team immediately after submitting your application to ensure that we can assign and prepare appropriate room assignment and configurations to ensure a comfortable stay.